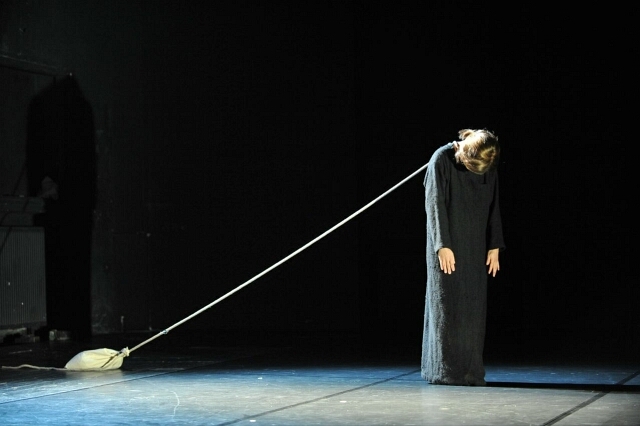 In her dance solo, The Assembled Woman (The Doll) – The Assembled Woman, Yvonne Pouget deals with notions of femininity in Christian versus Muslim societies. Islam requires women to veil and their lives are governed by strict regulations. In contrast, women in the West are supposedly free of constriction in that they are not obliged to wear any sort of veil and can show their bodies, although they are still pressured to conform to certain societal perceptions of beauty. The question of what constitutes real freedom for women in Islam and Christianity will be examined. The accompanying discussion forum will deal with the issue of cultural constructions of body image in the Arab World and Europe, and theirimplications for the social roles of both sexes. Organized by the Culture Department of the City of Munich/ Changing-Views. resident in Munich/Germany rank among the established artists of the German Choreography and Dance scene and belongs to the most exciting choreographers all over Europe. 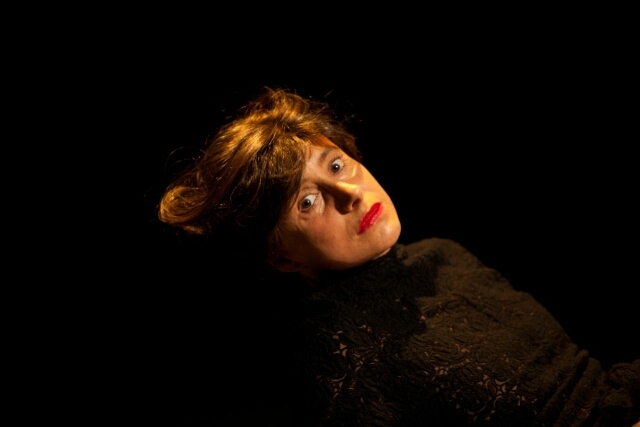 Trained in Butoh, from Ko Murobushi and Carlotta Ikeda, she developed her own and unique “bodylanguage of poetry”. Pouget can currently propose full-length solo/ duet, and three different company productions. Her prolific dance productions have been successful at home and abroad. Artists like the baroque specialist Christoph Hammer, the Counter–tenor and Bayerische Kammersänger Christopher Robson the Tenor and Actor Pino De Vittorio as the chitarra battente virtuoso Marcello Vitale have enthusiastically collaborated with her. Pouget’s theatre productions are financially supported since 2000 by the Culture Ministry of the City of Munich. Yvonne Pouget has enormous stage presence and Prägnanz. She kidnaps her public, taking them into the intoxicating world of Sensuality. She realizes theatre dreams in which logical understanding is unnecessary, touching the audience with each sound and gesture of performance.